APG's mission is to provide opportunities for photographers to further their artistic development, advance and sustain an inclusive and vibrant photographic community for all individuals interested in contemporary photograph, and to promote and support contemporary photography as a significant art form. These goals are supported through a wide range of activities that are overseen by a Board of Directors. In 1987, a motivated group of photographers and collectors founded Atlanta Photography Group (APG) as a member-supported nonprofit organization to bring more opportunities for photographers to exhibit in Atlanta. Initial meetings were held in members' homes on a monthly basis to share information and to show and critique work. The first gallery exhibition space opening in downtown Atlanta in 1988. Receiving 501(c)3 status that same year, APG is Atlanta's oldest photography art center. In 2002, APG moved to its current location at the Tula Art Center. APG hosts exhibitions throughout the year in its gallery space at the Tula Art Center. Most shows are juried by well-known photography curators, gallery owners and experts. APG is free and open to the public, Tuesday – Saturday, 12 – 4pm or by appointment. 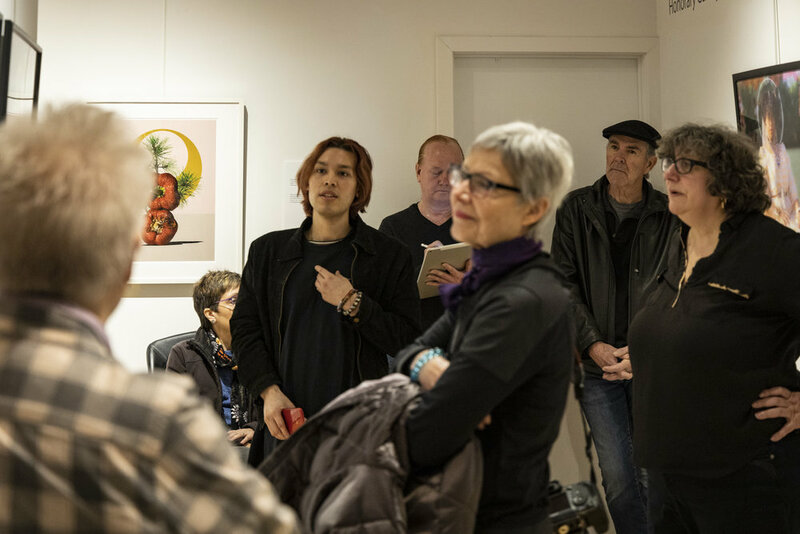 APG hosts critiques, discussions, meetings, and workshops every month at the gallery, providing members with opportunities to receive valuable feedback on their work, discuss photography with their peers, and increase their knowledge of the medium. Critique: Meets every first Wednesday at 7:00pm at the Gallery (subject to change). Click here for upcoming meetings of the Critique Group. Speaking of Photography (SOP): Quarterly speaker series featuring artists and arts professionals in the Gallery. Click here for upcoming meetings of SOP. Design Salon: Meets quarterly on the second Sunday of January, April, July & October, from 2 - 4pm. Click here for upcoming meetings of the Design Salon. Workshops: Ongoing courses designed to provide photographic artists with the essential knowledge and tools to succeed in their professional and creative practices. Click here for upcoming Workshops.